Although a far greater percentage of electric motors in service are ac motors, the dc motor is of considerable industrial importance. The principal advantage of a dc motor is that its speed can be changed over a wide range by a variety of simple methods. Such a fine speed control is generally not possible with ac motors. In fact, fine speed control is one of the reasons for the strong competitive position of dc motors in modern industrial applications. 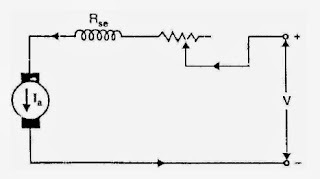 The armature-resistance control method is mostly used. 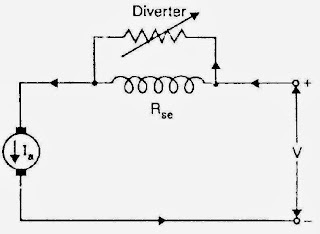 In this method, a variable resistance (called field diverter) is connected in parallel with series field winding. A part of the line current passes through this diverter and thus weakens the field. Since N ∝ 1/ϕ , speed also varies with field flux. 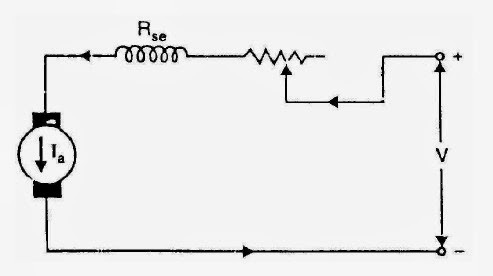 The lowest speed obtained by this method is the normal speed of motor when the current through diverter is zero, ie, diverter open circuited. 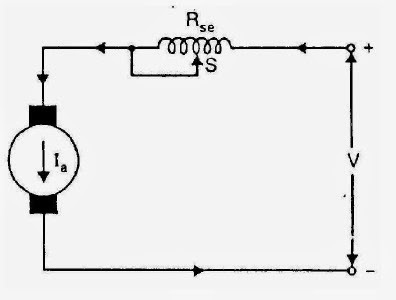 In order to obtain speeds below the normal speed, a variable resistance (called armature diverter) is connected in parallel with the armature of dc series motor. 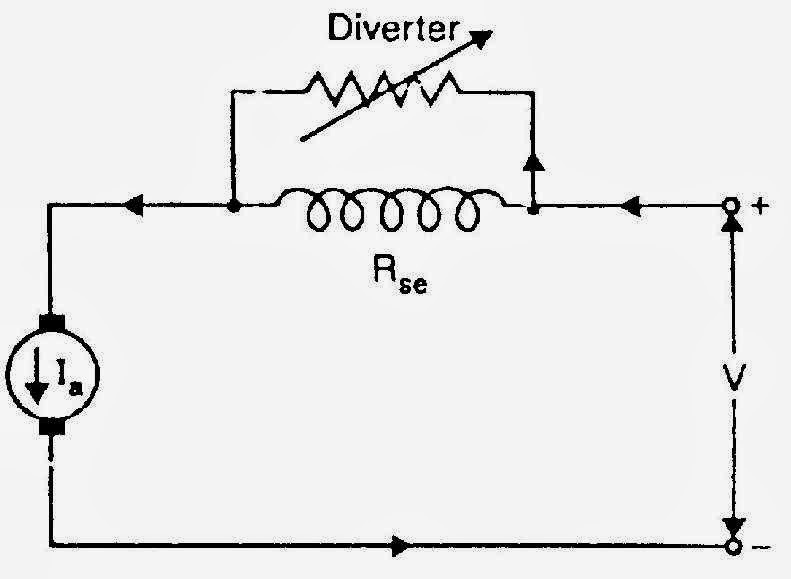 The diverter reduces the armature current. As a result flux get increased. So the speed decreases since N ∝ 1/ϕ. In this method, the flux is reduced (and hence speed is increased) by decreasing the number of turns of the series field winding. The switch S can short circuit any part of the field winding, thus decreasing the flux and raising the speed. With full turns of the field winding, the motor runs at normal speed and as the field turns are cut out, speeds higher than normal speed are achieved. In this method, a variable resistance is directly connected in series with the supply. This reduces the voltage available across the armature and hence the speed falls. By changing the value of variable resistance, any speed below the normal speed can be obtained. This is the most common method employed to control the speed of d.c. series motors.